Natural Family Planning – these three words may be among the most misunderstood and overlooked in modern marriages. NFP has been an absolute miracle for our marriage, and spreading the truth about this natural means of fertility awareness has become a real passion here at Engaged Marriage. Why should you care to learn about Natural Family Planning? In short, because it may very likely unlock an amazing new level of intimacy in your marriage. Of course, when you challenge the widely held views that artificial birth control is a necessary (and even good) thing, you often step into controversy. As you’ll see among the posts below, many have 50+ passionate comments that will really help to inform you beyond the content of the article itself. And that’s the whole point here – I’m not necessarily trying to convert you to an NFP proponent. I simply want to satisfy your curiosity, show you how it works and give you both the pros and cons of using Natural Family Planning in your marriage. How Does Natural Family Planning Benefit Marriage? 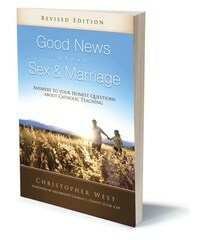 There are several good books on NFP specifically, but I would encourage you to read this gem by Christopher West. It’s a super-easy read presented in question-and-answer format, and it does a masterful job of sharing the truth behind Christian sexuality as well as the teachings of the Catholic Church in this controversial area. After several years of using the Couple-to-Couple League method, we made the switch to the Marquette Model. We felt that it gave us more flexibility, and we loved the fact that it incorporated a test for fertility hormones. 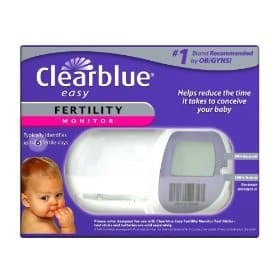 Please read this article to learn about the Clearblue Easy Fertility Monitor, which we use and love.